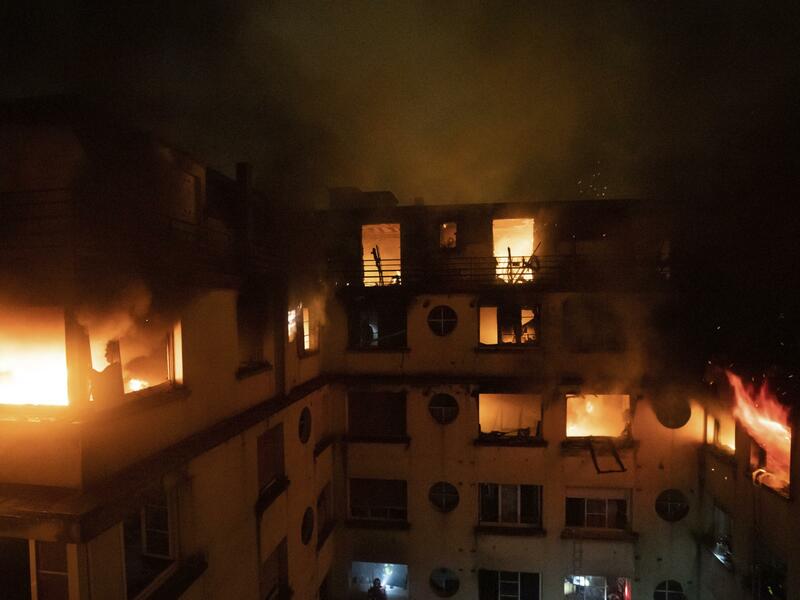 A fire rages through the top floors of an apartment building in Paris. At least 10 people have been killed and dozens injured. Fire officials say arson is to blame. The suspect is a 40-year-old woman who lived in the building. French Interior Minister Christophe Castaner said she had mental health issues. Witnesses say they saw her setting fire to a trash can and a car just before the fire began, NPR's Paris correspondent Eleanor Beardsley reports. "The fire broke out after midnight in an apartment building in Paris' 16th arrondissement, one of the most wealthy districts in the city," Beardsley says. "Witnesses describe a blazing inferno that took hours to put out." "When we arrived, we were faced with an apocalyptic situation. Lots of people were calling for help from the windows," a fire department spokesman said, according to the AP. Firefighters had a hard time actually getting ladders up to the building, as the building doesn't face the street, officials told Le Monde. They had to take the ladders by hand to a small courtyard before deploying them. Six firefighters are among the injured, the BBC reports.